Hey guys, since returning home I have been taking long hard looks at my wardrobe and trying to assess what's really necessary. Although it is my job as a personal stylist to do wardrobe detoxes with my clients, I have come to realize that I need to do one on myself. While in London, I lived on about an 8th of my wardrobe. Everything was limited and minimal, and I was just fine. So now I am forced to look at all of my items that I didn't take, and consider ridding myself of them because I was just fine without them. This lovely knit dress was an item that was left behind. 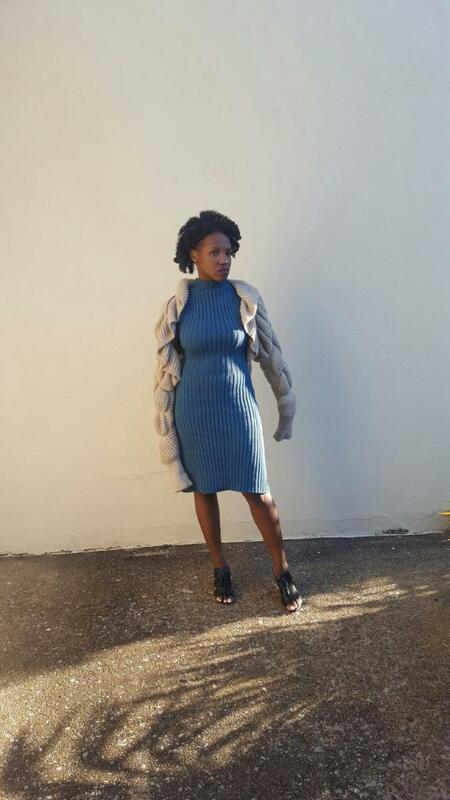 And although it was preloved and I enjoyed styling it and wearing during chilly months...I managed to live for a long time. 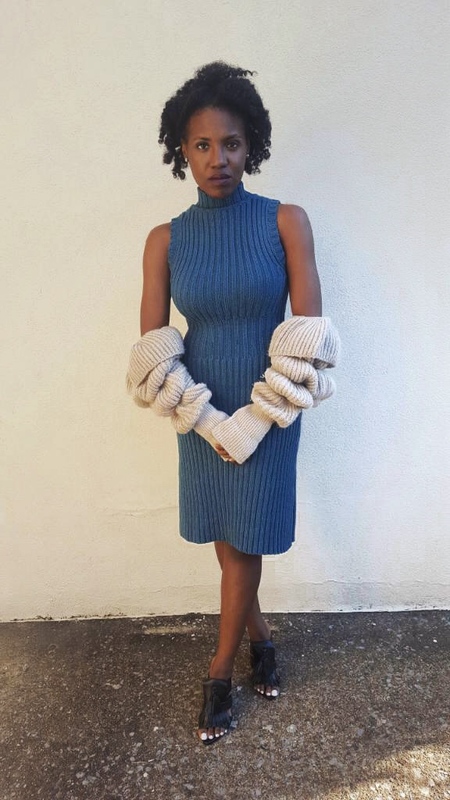 Here I styled my blue sweater dress with a chunky knit sweater, and my go to pair of Zara mules. Chic, right?? There are countless ways to wear this dress because it is so simple and versatile. This dress is a wardrobe staple. It would give a completely different look if you wore it would a fun pair of sneakers and a nice, bright bomber jacket, or make it more professional by adding a blazer and heels. So as mentioned in the my title this look is apart of my Buy It Off My Back campaign. You guys can literally just ask for it, and wait to receive it. If you are interested in purchasing the dress, simply send an email or comment below with your email, and I will send over an invoice. Easy.